Here's some horror movie news just in time for Halloween! Now that the recent adaptation of Stephen King's It has nabbed the distinction of highest-grossing horror film of all time, it looks like Paramount Pictures plans to continue the silver screen revival of the famed author's horror material. A remake of 1989's Pet Sematary is apparently on the way. According to Variety, Pet Sematary, King's original 1983 horror novel, will get a celluloid update courtesy of directors Kevin Kolsch and Dennis Widmyer, the pair responsible for 2014's Kickstarter-backed Starry Eyes. The '89 movie adaptation of Pet Sematary , which “follows the travails of a family who moves into a new home next to a cemetery endowed with powers that allow the creatures buried in it to come back from the dead,” was helmed by Urban Legends: Bloody Mary director Mary Lambert. 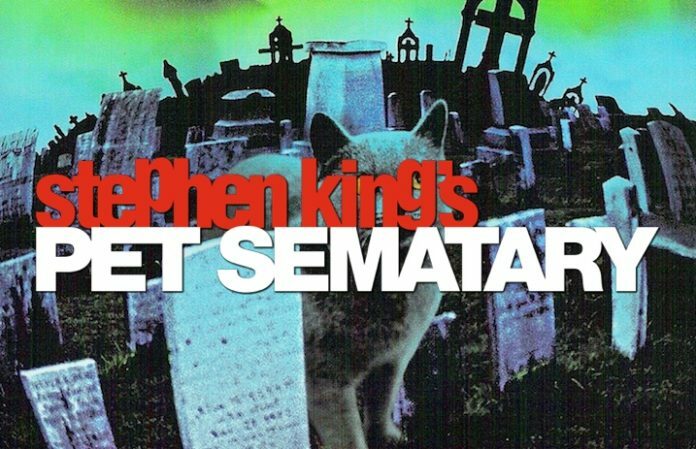 Paramount reportedly started the search for a Pet Sematary director shortly after the box-office success of It, with 47 Meters Down director Johannes Roberts and editor Sean Carter previously considered for the director's chair. Catch us attempting to raise our pets from the dead when this thing drops in theaters—we can't wait to see it. “Sometimes dead is better”!